Anyone who runs a small business knows the importance of finding effective ways to market their business that won’t take too much time and can be done on a minimal, or even non-existent budget. If this is relevant to you, then say hello to the blog; it could just be your biggest ally and your new best friend. But overall, they are a very effective means of spreading information about you and your business across a far wider audience. I’ve heard business owners tell me they wouldn’t know what to blog about and then spend the next hour telling me, with great passion, all about their business, the fantastic product / service they offer and the benefit they provide. 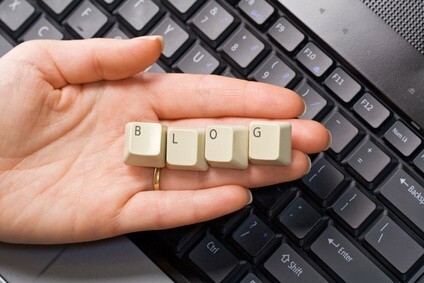 For me blogging is a small step from talking about your businesses and what you can do for your clients, to putting this down in short, interesting and informative blog posts. If you’re not a great writer, you can easily record audio or video content on a smart phone and add it to your blog with a minimum of fuss. The trick is to think about what your target audience would be interested to read about or find valuable to learn. One of the best things is to think about the questions your customers are always asking and blog about the answers you give! Blog about the knowledge you have which could make a real difference to your existing and future clients. The first few times you write your blog you may well find that it does take some time. However you will notice over time your blogging will get easier and quicker too. You don’t need to write War and Peace so don’t be afraid to keep your blog posts short, sweet and to the point. Write about the most common questions your clients ask you. Write evergreen content (not linked to a specific time or event) that can be re-used. Remember your blog has the potential to reach and influence a wide and far-reaching audience. What else could you do in that same time frame, from the comfort of the your own home/office, that could have the same impact and provide as many benefits? Once you have your blog written and posted on your website you need to make sure you promote it for maximum coverage and make sure you’ve got a sign up box so that people who like your posts can get new ones delivered by email. This gives you the chance to build your own mailing list which is probably the most valuable asset a blog can provide! I have committed to blogging once a week so just need to keep the momentum up. Thankfully the world of tax is always changing. I would add to the list of “keeping the momentum” tips to have a couple of prewritten articles in reserve so that if you do become to busy you can still post. Totally agree. Blogging ‘humanises’ the company. We want people to feel they know us by the time they get in touch.